What are you doing with your free time? Had some new responsibilities assigned lately? Regulations are changing almost daily! 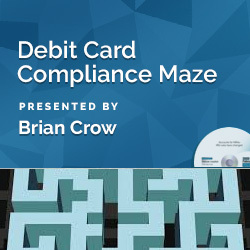 Are you expected keep up with all that is going on this evolving compliance environment? 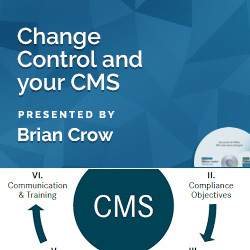 In compliance management is that there is too much to do, too much to learn, too much to implement, too much to change, too much to train, too much to monitor. You get the idea. ComplianceAction includes articles about new developments in compliance laws, regulations, and interpretations. But we do more than describe the change, we tell you what to do about it. Each major article contains ActionSteps, things to check on or change, or a new process to start. We even list who needs to know or be involved. In short, the ActionSteps are your 'to do' list. We also have articles addressing compliance problem areas, such as what compliance requirements apply to commercial lending, when signatures are required or prohibited, how to use credit scoring, or when and how to give disclosures of different kinds. And we include ActionSteps for these too. ComplianceAction gives you information on compliance enforcement trends. We stay in touch with examiners and the recently examined to bring you the latest information. These articles help you prepare for the next examination so you'll be ready with a good response to the items that are at the top of the examiner's list - and you'll look good to your management as well. ComplianceAction includes charts or lists to help your staff. You can use these for training and also hand them out as job aids. We include a calendar on compliance events to remind you when to review HMDA data, when comment letters are due, when to expect action on something - this one often changes a lot - and reminders about what to do on a regular basis, such as training, board briefings, and policy reviews. All this and more is with your subscription to Compliance Action - an all-digital publication!!! Subscribe now to receive immediate online access to the current issue and access to previous content published by Compliance Action for the low price of $399! After registering for your online access (or your current BankersOnline account is configured once your subscription is processed), you will receive email notifications when new issues become available! Another valuable benefit is that additional staff members can also register for individual access using their bank email address – at no additional charge! (For bank holding companies, the additional online access is limited to the holding company's subscribing location only. Individual banks must purchase a separate subscription). All this for one low price of $399! Compliance Action is an ALL-DIGITAL newsletter. You must have an existing BankersOnline account or register for a BankersOnline account to access the content. (Your BOL Store login will not give you access to Compliance Action). * If renewing a current subscription, please include your subscriber account number (located on your renewal notice or invoice) in the comments section of your order. This product was added to our catalog on Friday 13 February, 2004.